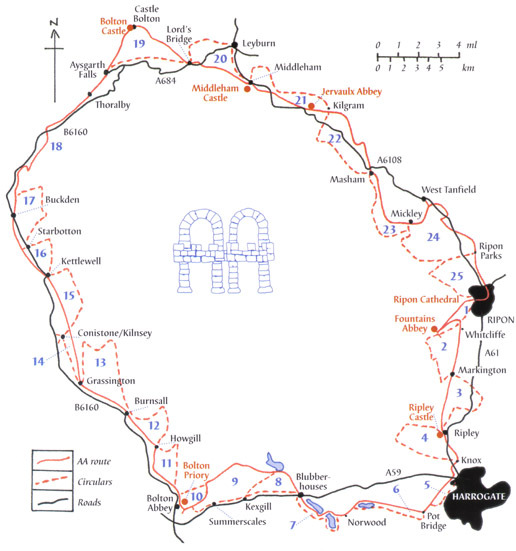 John’s first book (published in 1999) describes a 103-mile circular walk starting and finishing at Ripon Cathedral. It links up three famous Yorkshire Abbeys (Fountains Abbey, Jervaulx Abbey and Bolton Priory) as well as visiting three Yorkshire castles (Ripley, Bolton and Middleham). The complete circuit is divided into 25 separate day circular walks.